jdbasketball, a dialogue for mankind. The Sports Development Authority of Tamil Nadu is serious about their basketball. From the second Stephan and Mary invited me, I started rearranging my plans. I had to get back to the heartland of Indian hoops. Initially, they had me training 35 kids at one time — on one half of a court while a state wide gymnastic competition was going on . . . chalta hai! Then we went outside with the full-court – except it was too loud to coach and explain drills as a concert was taking place on the next court . . . chalta hai! We started with, ‘lets make 25 shots and we will go to the next spot” then about 90 seconds later was thinking …’ok I hope we make one’ stopped drill , re-explained, taught everyone how to shoot properly. . . chalta hai! Five coaches & three seperate age groups all looking learn everything there is to know about basketball in five days. . . chalta hai! Continual shouts of “everyone over here…everyone over here..no, here…everyone over here”. . . chalta hai! And then all the sudden, while teaching the coaches the 2 – 2 – 1 Zone. A large thud!!!! BOOM !!!! 5 feet behind me. “Coach, that is beautiful thing, Coach” All the coaches nodding in agreement. finishes by making a ‘thud sound’. 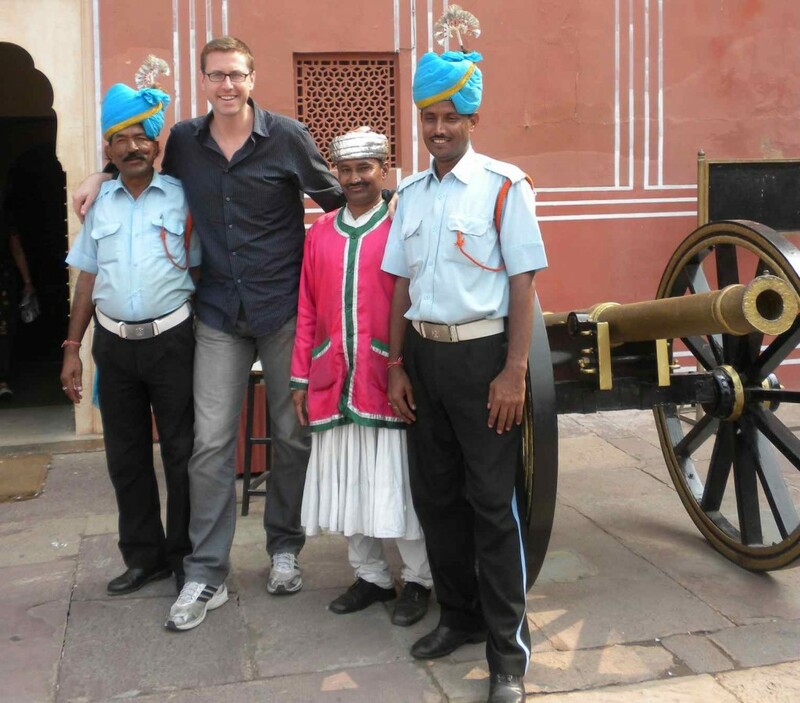 Only in India. . .and on with the rebirth…..
SDAT again! awesome! 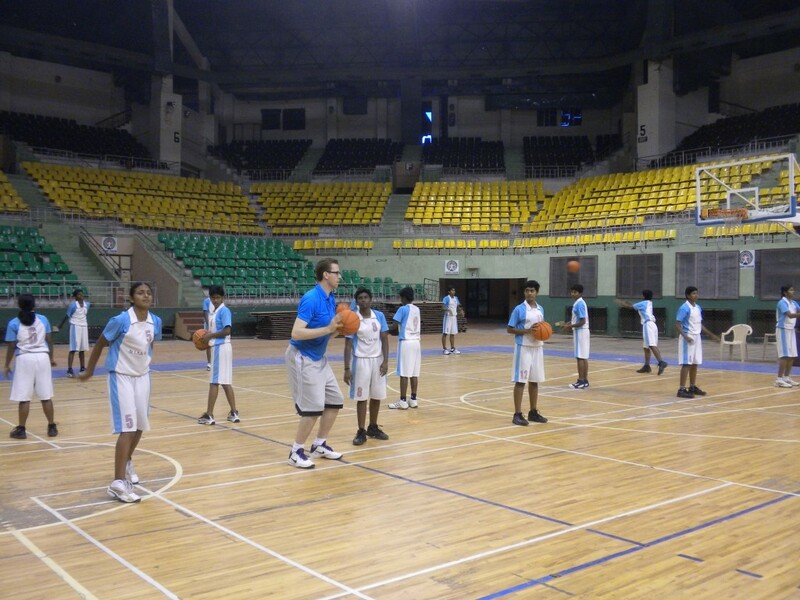 CHENNAI – great place – basketball capital of india — the thought keeps me pushing along to the next moment! The bigger picture – the rebirth of self, the reason of why am I destined here , thought of epics and the past creeps in, I get extra motivated in the moment. Then I peer over and see a cross over, a perfect shot . a dose of adrenlyn and spirit over takes me! Coaches will tell you, there is few feelings as great as getting into that coaching rhythym. . .
One hi- lite was the use of modern technology as we brought legendary former NBA Head Coach, Don Casey via Skype to talk zone defense. It was sad to leave SDAT program completed – another great success! A special thank you to maam Mary, Stephen David all the kids and of course the coaches, K Subburaj Hostel Of Excellance Chennai. Ramasubramania Raja NLC Neyveli Sports Hostel K Prabu, Sports Hostel Madurai P.Muthuraja BVC School Erode Manivasagam S A I Chennai and the Boss…John Daniel… will never forget you guys! Last but not least, A special thank you to the folks at NIKE INDIA and NIKE Global (especially Goro N, George R , Mike F. & Mike H) for sponsoring our program and sending us the fresh coaching gear! In love + Peace + Basketball+ evolution….From Bharat…. While waiting in lobby before a meeting at the US Embassy, I had this interaction with a security guard. – To which he says, “Do you live in Indiana? – Then with a big smile says, “No, Indiana must have a lot of Indians in Indiana – Sir, India / Indiana” . . .
– Was he joking? Worthy of a head bobble thats for sure.